Once bands have three albums under their belts, they tend to be well-oiled machines. They know what works and what doesn’t, and they should have no problem cranking out songs that will appeal to their core audience and new fans alike. That’s not to say they can phone in record number four – listeners will always see right through a lack of passion – but there is a certain level of comfort that comes with that stage in a band’s career. Banner Pilot have reached that stage, and signs of it are all over the Minnesota group’s fourth LP. Souvenir is a satisfactory collection of punk songs that often sparks but never quite manages to catch fire. If you’ve been listening to punk long enough to call yourself a fan of the genre, the songs on Souvenir won’t offer many surprises. Thematically, vocalist Nick Johnson bounces between nostalgia (“Modern Shakes”), dissatisfaction (“Shoreline”), and positive, uplifting anthems (“Heat Rash”). The album’s best track, “Letterbox,” combines all three ideas into the tale of an old friend that got out of town and never looked back. It has exactly the right combination of emotional weight and punk energy to feel at home on a playlist with The Lawrence Arms, Elway, and the like. Unfortunately, the rest of Souvenir falls short of that mark, as Johnson tends to rely on tired, familiar imagery (“Starlight is streaming down a dead end street” from “Hold Fast,” for instance) that makes the songs less memorable than they could be. If you’ve ever considered attending The Fest, then it’s a pretty safe bet that you’ll find Banner Pilot’s music appealing. The rhythm section is tight – just listen to that groove at the beginning of “Colfax” – and the guitars are crunchy and replete with the genre’s distinctive octave-driven melodies. That’s all well and good, but Souvenir offers so little variation on its theme that it quickly starts to feel monotonous, and the forty-minute runtime doesn’t do it any favors. Dropping a song or two and adding a ballad or an acoustic track would go a long way towards increasing the album’s replay value. Souvenir has all of the elements of a record I should love, but the execution always leaves something to be desired. It’s Red City Radio without the instant sing-alongs, The Menzingers without the tangible heartache, and Masked Intruder without the attention-grabbing gimmick. 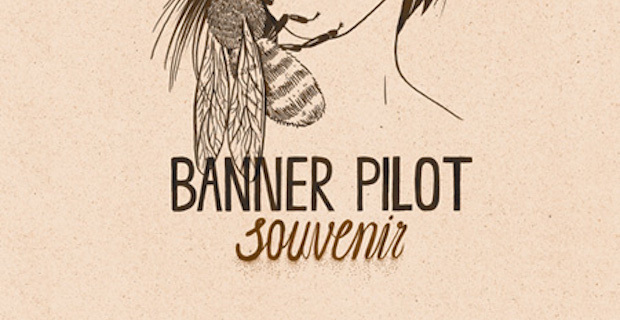 In short, Banner Pilot are a band without an identity. That’s not to say they’re bad, since Souvenir is far from a bad record. They’re just more likely to get lost in the shuffle.